News & Opinion | .Simons Says. Canadians everywhere have joined an international effort to free almost 300 Nigerian schoolgirls kidnapped by a west African Islamic extremist group. Last week, I along with some notable peeps from the Toronto area, participated in shooting a short film to bring awareness to this tragedy. According to director Tristan Barrocks, this film was made as a cry in unity for our world leaders to bring them home safely. Donald Sterling is a reported long-time racist, and by now you’ve read and heard all about his latest rant during a heart to heart on the phone with his conniving sugar baby. ESPN host Bomani Jones knows all too well, Sterling’s history of racism. Back in 2006, the sports writer penned a column titled “Sterling’s racism should be news” after the US Department of Justice sued Sterling for housing discrimination. 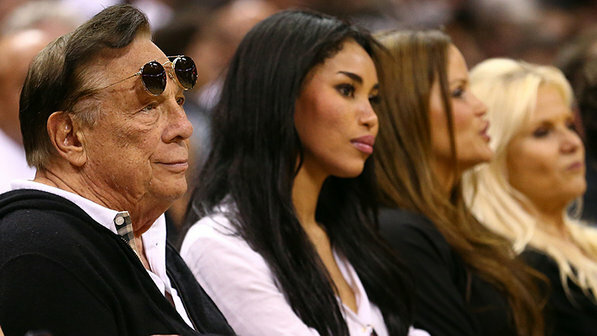 Sterling allegedly refused to rent apartments he owned to African Americans, Latinos and people with children and, though he denied the charges, agreed to a settlement of $2.765 million in 2009. There’s also record of a separate housing discrimination lawsuit in 2003. Monday, on the Dan Le Batard Show, Jones gave a heated 10-minute speech on why, despite allegations of Sterling’s racism being well documented for decades, the story has people all wound up today. NBA Commissioner Adam Silver announced Tuesday that Sterling has been banned from the NBA for life and will be fined $2.5 million. In the picture Shanesha Taylor is staring straight into the camera with tears streaming down her cheeks. 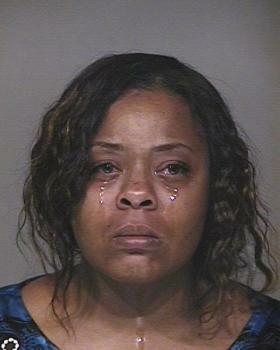 It’s her mug shot, taken after the Arizona single mother was arrested for leaving her children in a locked car with the windows slightly cracked. Horrible as that sounds it’s only part of the story. As Shanesha explained to the arresting officer she had no one to watch her kids while she interviewed for a job. The 35-year-old mother is homeless; she risked leaving her children for a short time for the chance to get work. Shanesha’s 2-year-old and 6-month-old were placed in protective services and she was roundly criticized for endangering them. But, even her harshest critics recognized that she was between a rock and a hard place. Millions of parents know first hand the struggle to find childcare. And cost is not just an issue for poor and working class parents. Middle class and even upper middle class parents –especially those in urban areas—are squeezed, too. Several well off couples interviewed by The New York Times last year, said childcare costs ate up a huge chunk of their double incomes. The story called, “Crushed by the Cost of Child Care,” cited couples considering having one parent stop working to care for the children at home. Shanesha Taylor didn’t have that choice—and maybe that’s why her story drew such attention and sympathy. A local church took her in after her release from jail. Another single mother from New Jersey, Amanda Bishop, raised more than $60,000 to help Shanesha to pay bail, legal fees and to help care for her children. Still many judge her a bad mother, insisting she could have found another way to care for the kids. Too late now. And Shenesha still faces two felony charges of child abuse. I am haunted by her tear stained face, and saddened by the cruel irony that she was interviewing at an insurance company, hoping it would ensure her children’s future.